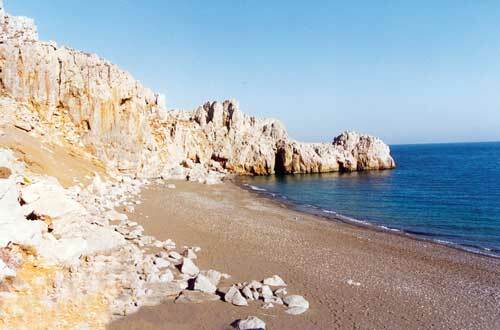 Trachoulas or Psilli Ammos is located at a distance of about 77 km from Heraklion. It is an amazing tranquil sandy beach (Psilli Ammos in Greek stands for fine sand) under the Asterousia mountain. Trachoulas offers crystal clear water and isolation. No umbrellas, no water, no facilities, perfect for nudism!